I am sure you have all heard about the sudden closure of the Dell manufacturing plant in Limerick in 2009, causing the loss of 1900 jobs, and that’s not including all the indirect jobs. It’s a touchy subject at many levels, and I feel sorry for anyone who was at the receiving end of loosing their job. As one of the topics of this blog is about finding a job in Ireland, a few friends of mine were telling me they had had interviews at Dell recenty, and as it happens they both have recently started their new job in the Dell Command Centre. So then I started investigating… Command Centre… sounds interesting. 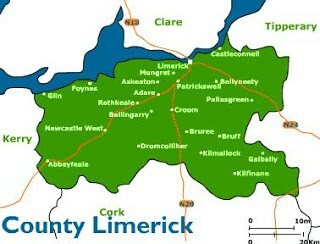 This is not the only activity in Limerick, follow this link to have an overview of the other divisions operating out of Limerick. You can find the vacanies on their website and just select country Ireland and then location Munster. I also found this website, containing jobs related to the Command Centre.